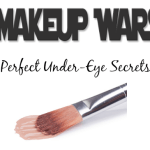 Today’s Makeup Wars Challenge is on our Favorite Mascara; one for drugstore and one for department store or high-end. Picking a favorite mascara is hard for me because I rotate through so many…and I’m also diligent about getting rid of old ones. 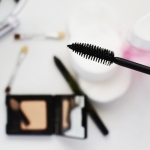 Buying a tube of mascara these days isn’t as easy as you’d think. Do you want volume, length, volume + length, “extension”-like, tubes, waterproof or some combination of all of the above? One thing that I like is when Sephora puts together a mascara sampler; I always buy it. Such a great way to try a bunch of mascaras at once before you shell out big bucks for a high-end mascara. At with some mascaras in the $30+ range, I definitely appreciate the opportunity to try first! I’m a big believer in primers, and lately I’ve been using the Estée Lauder Little Black Primer™ ($24). It’s tinted, so you can use Little Black Primer in a variety of ways: you can use it along as a tint for your lashes, as a primer to help condition and amplify your mascara or as a topcoat to set your mascara. I apply Little Black Primer before my mascara. The next step in my mascara routine is to pick a mascara.Lately I’ve been loving my Urban Decay Perversion Mascara ($22). Deep black, it wears well, it gives volume and length. It does everything I need a mascara to do and it does it without irritating my eyes, clumping or flaking. It wears really too. Although Perversion isn’t what I’d consider a “wet” formula, I do give it a few seconds to dry before moving on with my makeup. For drugstore mascara, I really like Neutrogena Healthy Volume Mascara. I like the brush on this mascara, which is shaped similar to many high-end mascaras I’ve used. The brush allows you not only get volume and length, but definition, too. The formula doesn’t clump or flake, it comes in “Carbon Black”, is non-irritating and gives me all-day wear without drying out. I haven’t had that drying out problem with either of these mascaras, but every now and again I do. That’s when I reach for Urban Decay Mascara Resurrection. 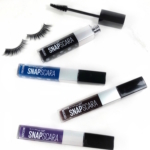 It’s a lash serum that revives and refreshes your mascara. So Mascara Resurrection can be used in a variety of ways to condition lashes, to “fix” a mascara clumping disaster or to refresh mascara. This isn’t a primer (for that you want Subversion or Little Black Primer™ ). There are two other recommendations that I have for amazing lashes…besides a great mascara: a good eyelash curler and an eyelash comb. I’ve had great success with the Kevyn Aucoin Eyelash Curler ($21). After not being able to find refills for my beloved Shu Uemura eyelash curler, a friend suggested I try the Kevyn Aucoin and I’ve never looked back. Gives a nice, natural curl without pinching. The other tool I recommend is an eyelash fan brush; the one I use is from MAC and I love it. I use it to give a finished look and to comb through, if a mascara goes on too thick. 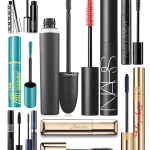 For last year’s Top 10 Mascara picks, check here. 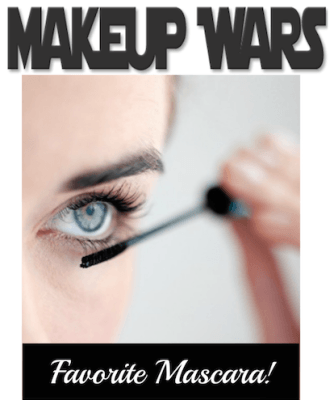 Then make sure to check out the favorite mascaras of the other beauty bloggers in today’s challenge! The Neutrogena is def a fave of mine too. 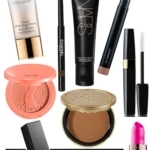 Before I found the Milani it’d have been my top drugstore pick! @Brooke I need to try the Milani; it’s not widely available around here, but have heard great things about it! That Neutrogena Healthy Volume mascara is rad. I thought their one in the black tube was good, but this one is awesome. The UD Perversion mascara is practically perfect in every way 🙂 Love it! 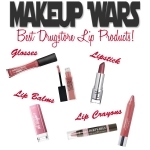 I need to try UD resurrection! Great choices! I have always wanted to try that Sephora Mascara sampler! My favorite high end is younique 3D fiber lashes & drugstore is L’oreal butterfly lashes. The Neutrogena brush looks good. I’ll have to pick up that one. I have tried the Neutrogena mascara but not tried any of the other ones. I would like to try the mascara from Urban Decay one.